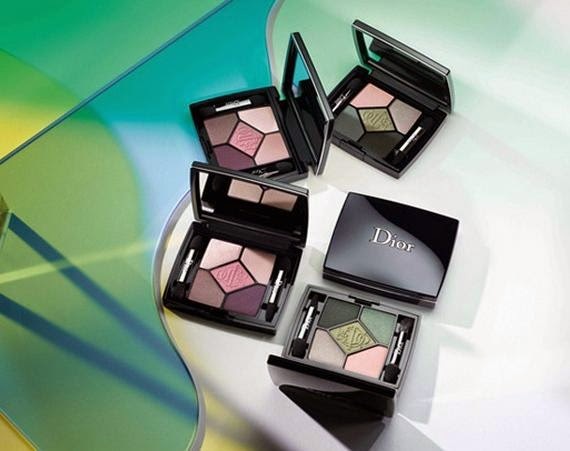 The Colors Palette for Face, Eyes and Lips is filled with 10 custom colors and four professional applicators tucked inside a graphic palette embossed with the personal crest of Christian Dior. 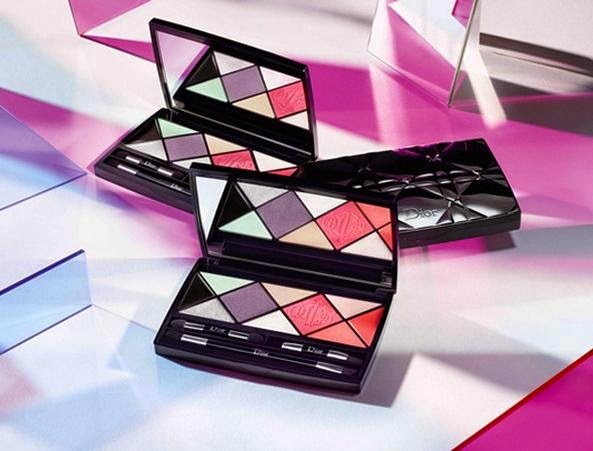 The palette features a mattifying skin-perfecting powder; a pearly highlighter and coral blush to enhance the complexion; and a deep purple enhanced with a silver shadow; an illuminating touch of aqua green shadow; and a black eyeliner to define the eyes. 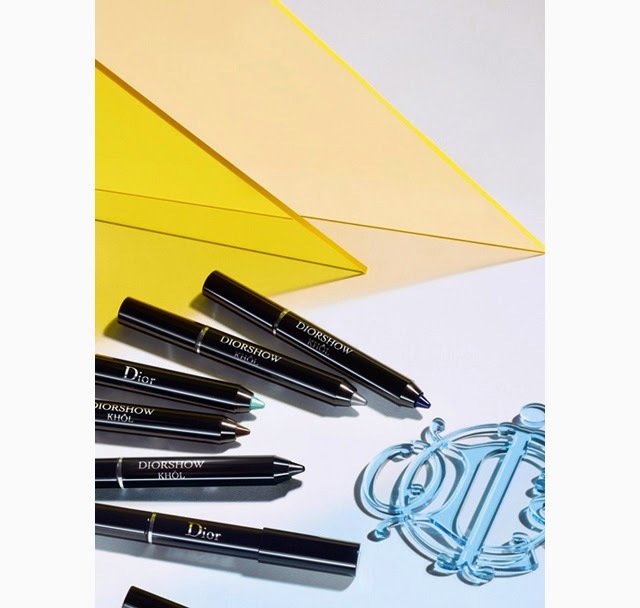 An iridescent coral gloss and a powdery pink lipstick adorn your lips and four professional brushes make application a breeze. 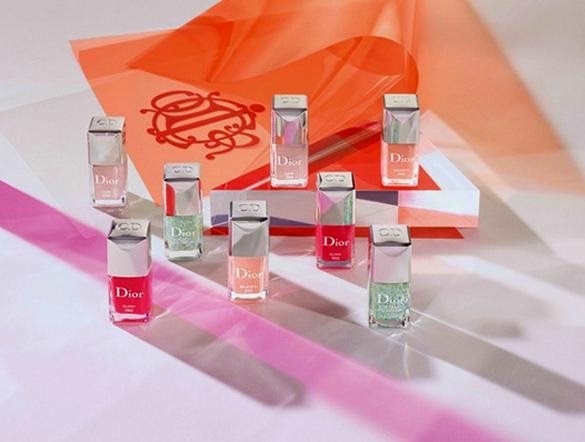 Dior Vernis Top Coat is brimming with confetti to decorate bare nails or to enhance your nail color. 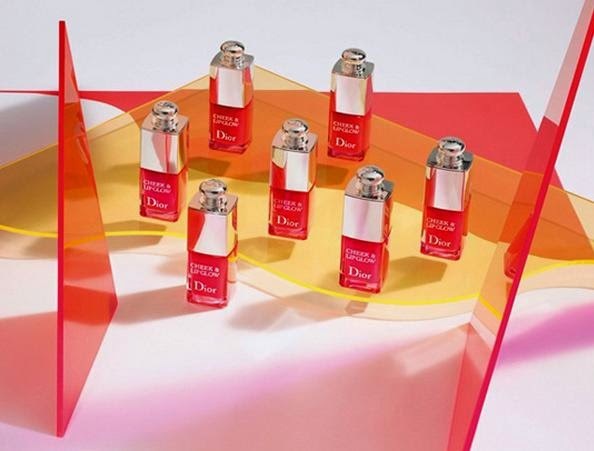 Gel coat resins with intense purity are combined with a techno-polymer to transform each coat of lacquer into a film as smooth and as shiny as glass. It’s also enriched with organic silicone to strengthen your nail’s surface for extra-long wear.